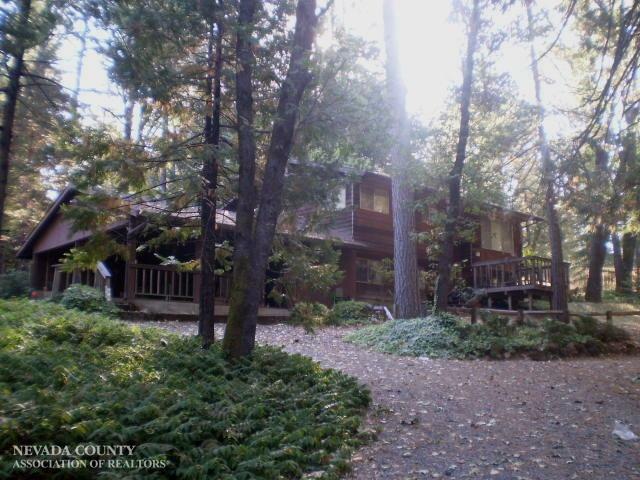 Wonderful wooded setting on almost 2 acres with gentle up slope usable lot. Wood siding on this two-story 3/2 house with bonus room and large laundry area built in 1973 with attached 2 car carport and detached oversized 2 car carport with attached shop on paved road. Lots of storage, several sheds and two fenced garden areas.